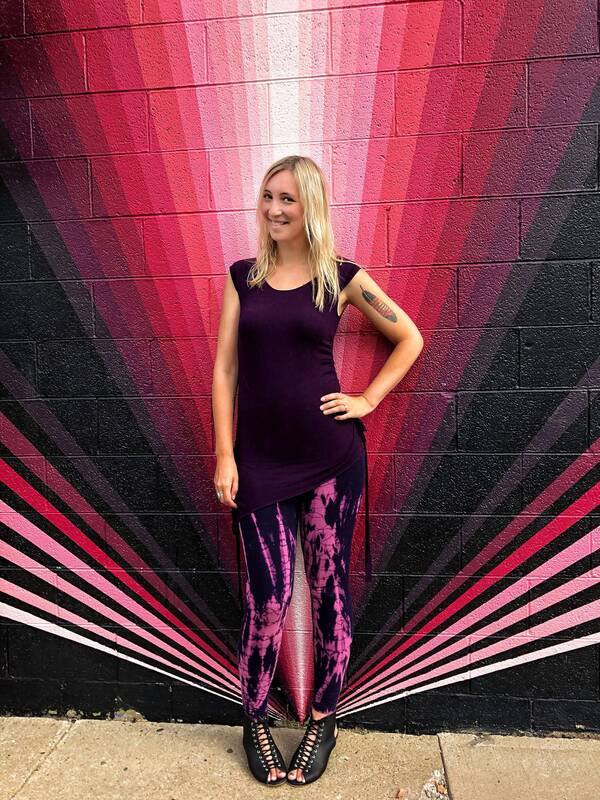 Hand dyed leggings in shades of pink and purple. These are fitted with tapered legs that hit between calf and ankle. 95% cotton, 5% spandex. Dyed with fade free dyes. Elastic waist. 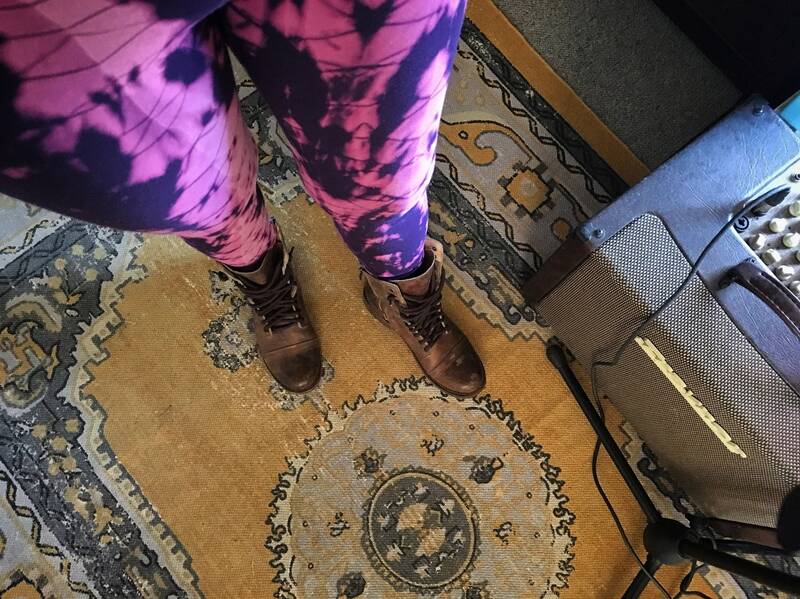 These leggings are gorgeous. Such rich colours. Super comfy as well.